People - How Much Does It Cost To? 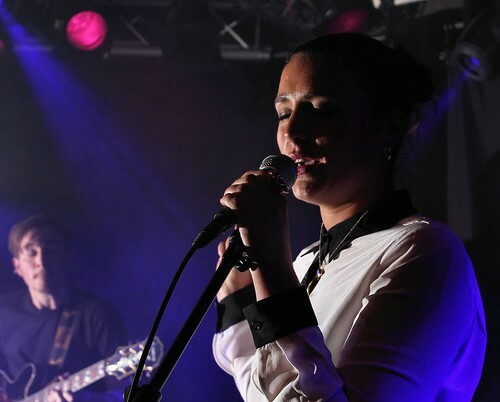 If you want to improve your vocal talent, it may be time to get the help of singing lessons. Singing lessons have a primary goal of helping students in developing good tone, pitch, intonation, volume, posture, emphasis, voice quality, breath control, and relaxation. So taking some time in a week to let a professional guide you can be worth every penny and every sweat in the end. Take a look at how much do singing lessons cost today. The typical cost of singing lessons is $20 to $35. Initially, the price will include a free consultation so the teacher can determine your singing range and potential. This will help the teacher know which class you must take and what techniques you must master to improve your vocal talent. Instructor. The experience and qualification of the instructor giving you singing lessons will greatly affect the cost of vocal lessons. Highly-professional instructors usually charge $100 to $200 or even more per hour of singing lessons. Facility. The reputation of the music school you choose is also a major cost factor. Reputable and credible schools usually charge more as compared to relatively new schools in the music industry. Class duration. The price quoted above refers to a half-hour singing lesson. Getting longer lessons will mean a higher cost. Expect to pay $30 the least for singing lessons that are an hour or more long. Student. The vocal capacity of the student will determine what kind of lesson he must take. For instance, beginners are usually suggested to take half-hour lessons. Hence, they can expect to spend minimum charges for their lessons. On the other hand, more advanced students may be required to get lessons with longer hours. Therefore, they will be charged higher. Frequency. Of course, the more sessions you attend in a week, the more you have to spend for your singing lessons. Some programs will require you three half-hour sessions in a week. If the price per half-hour is $30, you’ll likely spend $90 for the whole week. Type of session. Singing lessons can be done in a regular class or in a private manner. The latter is usually the more expensive option. This is especially true if you require the instructor to go to your home instead of you going to the facility for the singing lessons. Some music instructors or schools do not offer a free initial consultation. If this is the case, expect to pay $10 to $40 extra for the consultation. Music books and sheet music will be an extra cost when taking singing lessons. Expect to spend around $50 to $150 per year on these items. Recitals and competitions usually charge fees starting from $2 but can go as high as $200 for more prestigious events. Set up your goals prior to enrolling to a singing lesson. Do you wish to sing like a pro or you simply want to improve your singing? Knowing your goals will help you find an appropriate singing class or lesson as well as instructor for you. Plus, having a goal in mind can help you gain success in every singing lesson you pay for. Ask for recommendations from friends and colleagues on good music schools or music teachers offering singing lessons. You may also consider asking local music stores or the church choir director for recommendations. Check the experience and qualifications of the instructor or the school of your choice. Skills and experiences are very important to ensure that their lessons will be effective in reaching out the goals of their students. Only trust an instructor who can give you a decent and fair feedback about your voice and talent. Also, during the consultation, analyze whether or not the instructor is someone you are comfortable to work with. A very professional yet friendly instructor oftentimes offers the best results to students. Compare rates of several instructors prior to making a decision. However, don’t focus too much on the price. Take note that the qualifications and experiences of the instructor must also count when making a choice. You can also consider asking the instructors to talk to some of their students to get their feedback about their lessons and their way of teaching. Get singing lessons that you can attend to without trouble. Get a schedule that won’t bother your other activities such as school, work, or family activities. Plan your schedule ahead of time so you don’t end up missing your singing classes. If you have trouble with your time, you can consider online singing lessons. Most of the lessons can be downloaded in the Internet or can be played in a CD or DVD. This kind of singing lesson gives flexibility to students as they can achieve their vocal goals anytime and anywhere they want. What are your qualifications? Take note that this must refer to the singing and teaching qualifications of the instructor. How do you conduct your singing lessons? It is important that you have a very good view of how he conducts the lessons so you can evaluate whether or not it will work for you. If he has a syllabus of his singing lessons, ask him to see it. Or, you can ask him to see one of his classes. What is your field of specialization? Is singing really his specialization or is it just playing musical instruments. What kind of music does he do or teach best (jazz, blues, classical, etc.)? Where do you conduct your lessons? See if the teacher has a proper studio for his classes. Take note that most of the time, a good studio makes all the difference. Helium balloons are interesting in their very own way. Having gas inside that is lighter than the surrounding air, helium balloons have the amazing capacity to float on air. This fact and the natural charm of balloons make them popular decorations and additions in most parties such as birthdays, weddings, and other special events. The cost of helium-filled balloons ranges from $0.50 to $13 per piece. This estimate refers to ordering a piece of a helium-filled balloon from a party supply store. The balloon can be latex or Mylar (foil). Type. As mentioned above, helium-filled balloons can be latex or Mylar. The latter is basically the more expensive type with prices ranging from $1 to $13 per piece. On the other hand, latex balloons cost around $0.50 to $1 per piece only. Size. The bigger the helium-balloon of your choice is, the more expensive it usually costs. For instance, normal-sized Mylar balloons cost $1 to $4 and oversized ones can cost anywhere from $7 to $13 and can even go as high as $15 per piece. Shape. What makes Mylar balloons a better option at times is the fact that they come in various shapes. They can be shaped like a car, a cartoon character, or just about anything else. Shaped balloons like this usually start at $7 each. Number of balloons. 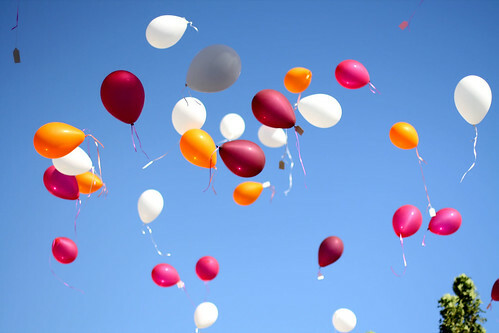 The number of helium balloons in one order can greatly affect prices. Most party supply stores give a discount for bulk orders. Some party supply stores even charge per dozen. Store. The cost of helium-filled balloons varies per store as well. This can be true because of the quality of the balloons they use, their local competitions, and a lot of other factors. To keep arrangements tied together on the ground for decorating purposes, balloon weights are oftentimes necessary. These weights cost around $1 per piece at party stores. A small disposable helium tank usually costs $30 to $70. This tank is enough to fill 50 latex balloons or 20 standard Mylar balloons. Shipping is usually extra but some stores can offer free shipping. Buying a large helium tank will cost from $145 to $400 for 55 and 275 balloons respectively. Refilling helium tanks is usually $5 to $25 cheaper than renting the same kind and size of tank from a store. In line with the purchase, you have to get an inflator or regulator attachment that costs $20 to $225 extra. Renting a helium tank to fill 100 to 500 latex balloons will cost you $35 to $200. The helium tank rental will come with an inflator or regulator for regulating the air and filling up the balloons. For renting helium tanks, the store will usually require $50 to $200 deposit. A replacement fee is expected to be collected if the valve is broken or if the cap is lost. Standard unfilled latex balloons costs 7 to 30 cents per piece while printed or customized ones can cost from 50 cents to a dollar each. Unfilled Mylar balloons, on the other hand, range from $0.50 to $9 per piece. Check out different party supply stores and compare prices on helium-filled balloons. Check out the availability of colors, sizes, and shapes of balloons as well. Know what kind and how many pieces of balloons you need for the occasion. This will help you get a better deal when shopping for helium balloons. Take note that ordering more balloons will likely land you a better discount. When trying to rent or buy a helium tank, make sure you know how many balloons the tank can fill. Calculate where you can really save money. Ask local party stores for local helium tank rental companies. They will for sure recommend a reliable company with good quality equipment. Most of the time, these local party stores rent tanks from the same provider they will be referring you to. Keep in mind that helium can be a potential hazardous material. Hence, extreme care is necessary when handling a helium tank. Follow all safety regulations provided by the rental company especially when transporting and using the tank. Set up your helium tank first. Make sure it is upright and set on a flat surface. Check the tank as well for any leak or damage. If you notice any, immediately contact the rental store or manufacturer. Attach the balloon regulator to the helium tank. To start the balloon making process, get one deflated balloon and place its neck on the regulator. Make sure the tank’s valve is pointing away from you. Slowly turn the handle of the tank counterclockwise. This will open the tank and the balloon will start to inflate. Once the balloon is filled up to your desired size, pinch its neck and remove it from the regulator. Tie the end of the balloon to make sure the helium won’t escape. Don’t forget to close the valve, by the way, so you don’t waste any helium. Tie a ribbon or string around the neck of the balloon. You may want to tie the other end of the ribbon on a chair or any other object to prevent it from floating away. This is especially true if you are outdoors. On the other hand, if your ceiling is low, you can let every filled balloon float up to the ceiling and grab them later. Continue repeating steps 3 to 6 until you have enough balloon to use for the occasion. A bar mitzvah marks the person’s acceptance of the responsibility to observe Jewish commandments. This is done upon a Jew’s 12th (girls) or 13th (boys) birthday. When a Jew reaches this milestone, a bar mitzvah ceremony is done as part of the ritual of the congregation. However, keep in mind that a bar mitzvah can invite a lot of expenses in your part, especially for the reception after the ceremony. Learn how much you have to spend for a bar mitzvah. The typical cost of a bar mitzvah ranges from $2,500 to $30,000. Number of guests. The number of people you invite for a bar mitzvah reception will greatly affect the total cost of the bar mitzvah. For food alone, the more guests you have, the more expensive catering costs will become. Say for instance you have invited 50 people for the reception. If catering costs $50 per guest, expect to spend $2,500 on catering alone. Take note that the number of guests will also affect the cost of venue, cake, and invitations. Quality of food. The type of food you choose is also a major cost factor, especially on the cost of catering. A complete-course meal will definitely cost more as compared to simple chicken meals. Moreover, a lunch meal will be more expensive as compared to snacks. Depending on your choice of food you want to be served to your guests, you can spend little or a lot on food alone. Also, the cost of catering increases if you choose to serve alcohol to adults. Choosing tiered cakes or carefully decorated cakes will also increase the cost of your expenses on food. Venue. Where will the bar mitzvah reception be held? Depending on your choice, the venue can be cheap or expensive. You can have it free if you plan to do it in your backyard. Plan to spend a little for renting a small restaurant for a couple of hours, but expect to spend more for renting a five-star hotel function room. Also, the size of the venue and the length of time you rent it will affect rental costs. Type of reception. A formal bar mitzvah party will definitely cost more because the atmosphere of a formal-themed party affects most of your choices. For instance, formal parties call for five-course meals and good quality foods and drinks. This is without mentioning yet that it requires a high class venue and great entertainment. Choice of entertainment. Will you be hiring a band or a DJ for entertainment? It usually is cheaper to hire a DJ as compared to hiring a live band during the reception party. The reputation and experiences of the band or DJ can greatly affect hourly rates. However, take note that simply renting equipment to play music will be cheaper as compared to hiring anyone for the entertainment. Photographer. Your choice of photographer will determine how much photography costs will be. Professional ones will usually charge more for their hourly rates as compared to amateur ones. Also, different packages are offered at different prices. A usual package of four hours of professional shooting, a photo album, and digital images can be around $500 to $800 already. Time of day/time of year. Most events are cheaper during off-season months like August and January. This is true because you can often get discounted rates for the venue rental, photography, entertainment, and even catering costs. Holding the bar mitzvah on a weekday will usually be cheaper as compared to holding it on a weekend. Moreover, a dinner reception will be typically more expensive as compared to lunch receptions. Location. Your geographical location has a lot to say when speaking of the cost of a bar mitzvah. Areas with a high cost of living such as Manhattan and Los Angeles have higher bar mitzvah costs. It is a common tradition for the Jewish community to give the celebrated boy or girl a bar mitzvah gift. Getting a gift will cost you anywhere from $20 to $200 or even more. Most popular bar mitzvah gifts are jewelry, books, and accessories. The family is expected to pay a bar mitzvah fee to the congregation. This covers the cost of the preparation of the student for the ceremony such as classes and workshops. Plan for the bar mitzvah party ahead of time. If you want to save on your expenses and find good value for your money, you must be planning the party long before it happens. Most of the time, a not well-planned party turns out to be a disaster and leaves the host with a lot of unexpected expenses in front of him. Create a checklist when planning a bar mitzvah party to ensure you don’t forget anything. 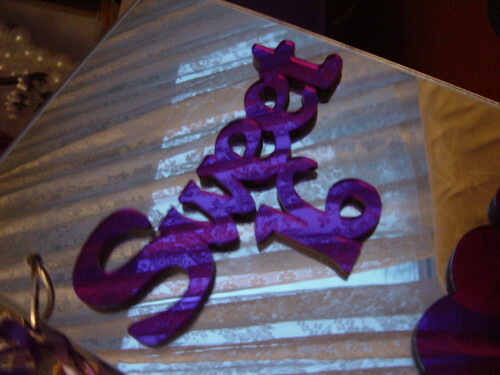 Shop around for the different details of the bar mitzvah party. Check out and get price estimates from different catering services, reception venues, photographers, and the like. Checking the reputation and credibility of different services will help you choose the best services for the bar mitzvah party. Consult your child about the kind of reception he or she wants. After all, it is his milestone to be celebrated. Get a written contract for all the services that you are getting for the party. Make sure the contract has a detailed list of information regarding prices, time and date of the party, inclusions in the package, and the like. Plan your budget. How much are you willing to spend for the bar mitzvah party? Setting your budget in advance is essential to ensure that you don’t end up spending more than what you ought to spend. You can pick your priorities for the party and cross out things that won’t be that much necessary such as lavish invitations and cakes. Cut the guest list. The shorter your guest list is, the more money you can save on the reception. Imagine, if you remove 10 people off your current guest list and you have food worth $50 per guest, you already will be saving $500 on your bill. Don’t spend too much on invitations. Take note that you can do your invitations yourself for the bar mitzvah party. You simply have to print your designed invitations on your own printer. Going to a print shop and having an invitation printed will cost you up to $5 per guest. Doing the invitations yourself and adding a personal touch to it can mean $1 or less for each guest. Choose the photography package real well. Do you really need a professional photographer for the bar mitzvah? If you have digital cameras, you can ask someone to be a photographer for a day for you. If you want a professional photographer, you must be careful when choosing a package. Skip the extra effects on the photo album as they tend to cost more. You may even skip the photo album and simply get digital copies of the images for you to print out later. Go for cheaper decorations. Ask for cheaper flowers and other decors for the bar mitzvah reception. Some flowers will be a lot more expensive as compared to flowers that are in season. You may even want to choose silk flowers over fresh ones as they are cheaper. Skip the fancy extras. Service upgrades will simply make the bar mitzvah party a lot more expensive in your part. Train yourself not to give into any kind of temptation like this. Hiring a videographer is usually an extra thing that is not that much important especially if you have hired a photographer already. Getting simple cakes will also save you a lot of money as compared to getting multi-tiered ones. Plan the menu well. If you have a bar mitzvah reception dinner, go for three courses instead of serving five different courses. This will help cut down the cost of the food. Also, you may want to pick a snack or lunch reception over dinner as the menu will be a lot cheaper. Order a smaller cake. The cake is usually a decoration in any reception. However, do you really have to spend too much for a well-decorated cake to serve everyone in attendance? Experts suggest ordering a small decorated cake that matches the theme of the party for display and have several sheet cakes in the kitchen to serve the guests. Even if adopting a child is a very selfless decision, adoption does not come cheap most of the time. Though some adoptions come free, other kinds of adoptions can cost thousands of dollars. So before you fully decide on adopting a child, find out the costs involved in adopting and see to it whether you can afford the process or not. The cost of adoption depends on the type of adoption you are going for. Foster care adoption costs $0 to $2,500. Licensed private agency domestic adoptions cost $5,000 to $40,000+. Independent domestic adoptions cost $8,000 to $40,000+. Inter-country adoptions can start from $7,000 to $70,000. Licensed private agency domestic adoptions include agency fees, birth parent counseling expenses, post-placement supervision, overhead and operating expenses, travel expenses, and processing of adoption requirements specific to the state. Independent domestic adoptions include birthmother expenses. Inter-country adoptions include agency fee, foster care, travel, escorting, medical care, and the like. Age of the child. Adopting a baby usually costs more as compared to adopting an older child. Learn more on how much it costs to adopt a baby. Condition of the child. A child with no medical history and no health problems can cost more to adopt. This is true because application fees are lower when the child becomes more difficult to place. Since children with health problems and emotional, mental, and social problems are more difficult to place, their adoption fees are usually lower. Geographical location. If you are considering domestic adoption, the cost of adopting a child can vary depending on your state. Rules, requirements, and fees vary from state to state usually. The same is true when speaking of inter-country adoptions. Some countries may have higher fees when it comes to adopting children. This is without mentioning yet your travel expenses to the specific country of your choice. For instance, in India, adoption costs start from $13,000 to $16,000 plus travel expenses while in Russia, the cost is around $50,000 plus travel. Agency. Adoption agencies can be licensed or unlicensed. Obviously, licensed agencies collect higher fees than their counterparts. Moreover, the adoption fees collected by agencies depend usually on what they will be doing for you. If you delegate everything to the agency including looking for expectant mothers for you, the price will go higher as compared to finding an expectant mother yourself. Inter-country adoptions may mean more extra fees for you including processing of visas, food and accommodation expenses, and the like. If you need to find prospective parents from whom you can adopt a baby from, advertisements can be a lot of help. Advertising costs start from $500 to $5,000. Once the adoption is over, you have to pay for the living expenses of your child including foods, toys, clothing, healthcare, and education. The cost to raise a child is usually $8,000 to $23,000 a year. Be very sure of your decision of adopting a child. Children up for adoption need a loving home so you and your spouse must be ready with your responsibility of giving not only a home but as well as love, care, and support to your child. Also, be prepared not only emotionally and mentally when adopting a child. You must be financially ready when adopting a child because raising a child can mean serious money in the way. Go for the type of adoption that will be most convenient for you. You may want to compare the costs as well as processing time. Take note that when you go for an inter-country adoption, the price may be very expensive but you have an assurance that you get to keep the child before you even bring him home. On the other hand, domestic adoptions may be cheaper but you have to wait six months after bringing home the child before the adoption can be finalized. If you are adopting a child through an agency, make sure to choose a licensed and reputable agency. A good agency can help you smoothly process the adoption as well as price you reasonably for the adoption. The same is true for inter-country adoptions. If you want to adopt internationally, decide first the country where you want to adopt a child from. Compare costs, requirements, and details from one country to another so you can find the best destination to get your child from. Raising a child does not come cheap these days. Even though having a child has its own rewards, you have to be prepared when it comes to the high expenses in line with having one. After reading this article, you can expect to know how much it will cost you to raise a child from 0 to 17 years old. According to the 2010 USDA’s Center for Nutrition Policy and Promotion annual report on Expenditures on Children by Families, the annual cost of raising a child depends on the income of the family. Age. The age of the child greatly affects the cost of raising him yearly. Often, as the child gets older, the cost gets higher. The general direction in the graph below shows that the cost of raising a child increases as a child becomes older. Household Income. The income of the household also affects the cost of raising a child as reflected in the figure above. Families in the lowest income group spend 25 percent of their income on a child while those in the middle-income group spend 16 percent. On the other hand, the highest-income group spends 12 percent on a child yearly. However, the highest income families usually spend more than twice the amount of how much the families in the lowest income group spend yearly. Geographical location. Where you live can also affect child-rearing costs. As per the USDA’s data, raising a child is most expensive in the urban Northeast region followed by urban West and urban Midwest. The cost is, however, lowest in urban South and rural areas. The difference in the child-rearing expenses based on geographical location can be explained by the high cost of living in some places, especially when speaking of housing, child care and education, and transportation. Type of family. A husband-wife family usually spends more on rearing a child as compared to a single parent family. Though there is little difference, it can be noted that single parent families have lower household income as compared to husband-wife families. Number of children. The total number of children in the household can also greatly affect the cost of raising a child. 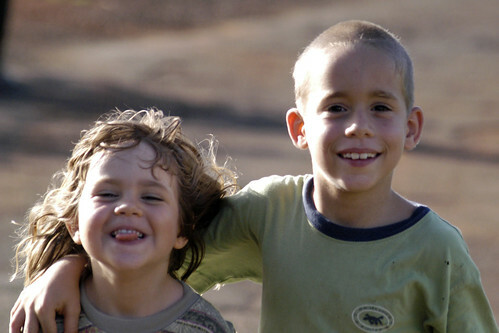 A one-child family usually spends more on a child as compared to a two-child family. Take a look at the housing expenses alone. Usually, households with two or more children have two or three children sharing the same room. Hence, the cost of housing yearly is divided among two or three children. Annual inflation rate. The cost of raising a child usually is affected by the annual inflation rate, which is usually calculated as 2.60 percent. Hence, not only the cost of child-rearing expenses gets higher as the child gets older but also as the inflation rate goes higher. For a total of 17 years, the total cost of raising a child is $206,180 for low-income group, $286,860 for middle-income group, and $477,100 for high-income group. Here is a calculation of the cost of raising a child that was born in 2010 following the expected inflation rates for the next 17 years. Prenatal expenses are an extra cost when raising a child because the calculated cost above starts once the child is born. College education is also an additional expense, because the overall cost of raising a child is calculated up until the age of 17. However, parents usually spend serious money on a child’s college education. College education expenses include tuition, room and board, and the like. You can calculate the cost of raising a child on a more personal level using this online calculator from USDA. Save money prior to having a baby. This will help you at least ensure that you can support raising your child for the first few years. Good financial preparation is key towards a smooth experience of raising children. Be mentally and physically prepared for having a child. Your finances are not the only things that matter here. As your child grows, teach him good skills. Raising a responsible child can mean fewer expenses for you in the long run. Spend wisely when raising a child. Your child does not need top-of-the-line goods all the time. You can experiment on cheaper clothes, diapers, and the like from time to time to save even a little money on the way. Take advantage of government programs for children such as public education. Learn about the benefits your child can get per year. Get an educational plan and health insurance for your child. Over the years, you can save more when you insure your child. Giving a baby a home can be the noblest thing to do. If you are thinking of adopting a baby, make sure, however, that you undergo the legal process. But, take note that adoption will cost you money. In this article, you will find out the costs involved in adopting a baby. The cost of adopting a baby depends mainly on the type of adoption you are going for. Domestic public agency adoptions cost around $0 to $2,500. Domestic private agency adoptions range from $4,000 to $30,000. Domestic independent adoptions cost $8,000 to $30,000. 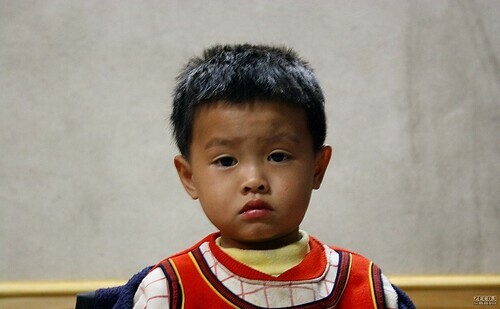 Inter-country adoptions cost $7,000 to $40,000. Type of adoption. Basically, the type of adoption you choose will determine the price of adopting a baby. International adoptions may be more expensive as compared to domestic adoptions simply because of the number of requirements and fees you have to pay not only to the State but as well as the agency, attorney, and the foreign country in international adoptions. State or country. The laws and requirements of the state or country where the adoptive child will be coming from can greatly affect the price of adoption. This is true because countries differ in pricing adoption fees as well as states need different adoption requirements. Travel. If the baby you are adopting comes from another state or country, travel expenses may affect the overall cost of the adoption process. Condition of the baby. The baby’s health and mental conditions may affect the cost of adoption as well. Since babies with medical problems are harder to place, they usually cost less to adopt them. Agency. Different adoption agencies price differently. Some agencies collect a sliding-scale fee while others don’t. Moreover, agencies usually price the adoption higher if they will be the one to look for expectant mothers for you as compared to those parents who have found an expectant mother themselves. Advertising can add up to the cost of adoption. This can range from $500 to $5,000 depending on what kind of advertisement you are getting. Advertisements are often necessary so that prospective parents can look for surrogates or expectant mothers. For international adoptions, additional expenses may include the processing of the immigrant visa. An immigrant visa application fee costs around $260 with $60 issuance fee. Of course, the adoption process is not the end of everything. Expenses will continue to show off as you raise the baby and attend to his or her daily needs such as foods, clothing, toys, education, and so much more. Adopting a baby is a very serious decision and so you must be very sure about doing it before you begin the adoption process. Make sure that you and your spouse is ready for the adoption as well as the rest of the family. Make sure that you are all set to adopt a baby and you are ready to face all the responsibilities of raising a child. Other couples go for older children because the extent of care they need is not that much as compared to what is needed by babies. Decide what kind of adoption you should choose. Compare not only the costs of the types of adoption but also the convenience they can offer to you all throughout the process. Learn about adoption rules specific to your states. Take note that state laws may restrict the allowable amount of expenses related to the adoption process. Choose a good adoption agency that will help you all throughout the process. Choose an agency based on their reputation, their prices, and their payment schemes. Make sure the agency you are dealing with is licensed and affiliated with government agencies, religious groups, or health care services. If you need help regarding the costs of adoptions, there are several ways you can get financial assistance. Most of the time, you can take advantage of subsidies, tax credits, loans, grants, and employer benefits to fund the adoption process. If you are considering an international adoption, it is best to know which country to adopt a baby from. Creating A Family offers a comparison of adoption details, requirements, and fees from different countries including Bulgaria, China, Mexico, India, Guatemala, South Korea, Philippines, Thailand, Ukraine, and many more.